Capt. 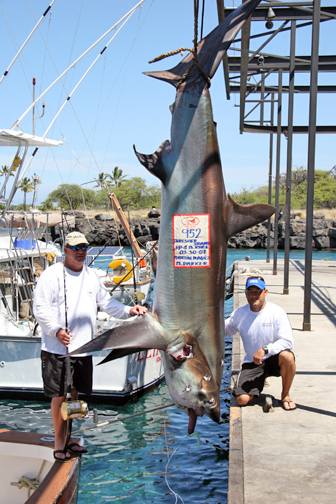 Marlin Parker of the legendary MARLIN MAGIC II was joined by John Patterson, Bill Rhee and Tim Robertson for a two-day trip targeting swordfish outside Kona when the team landed the new state record thresher shark. The fish was fought according to IGFA rules, but they disqualified their own fish due to a member calling out instructions upon seeing the strike.